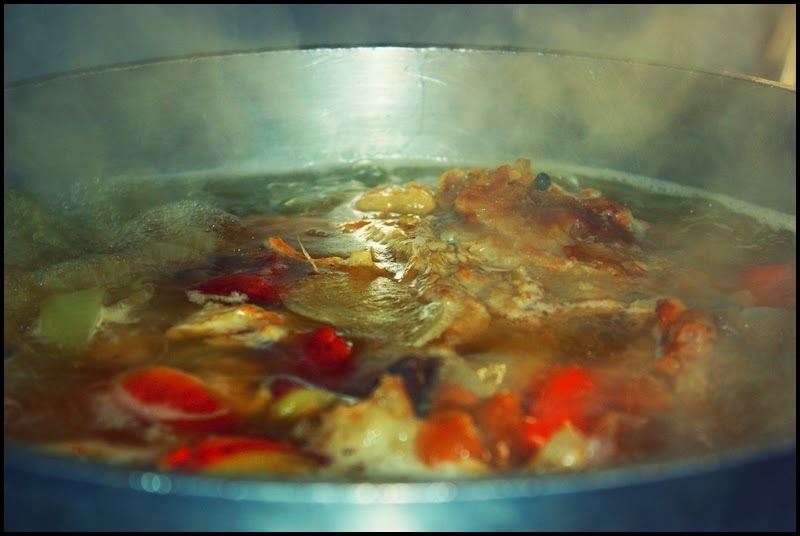 As I type these words the pot of turkey broth that is pictured above is simmering on the stove permeating the entire house with delicious aroma. If your like me you enjoy leftovers as much as the Thanksgiving meal itself (well, ok, maybe not quite as much, but almost). Anyhow, here's a few recipes which incorporate leftovers from a traditional Thanksgiving feast. These originally appeared in Artvoice about five years ago; to read that entire article, click here. Dice leftover turkey and vegetables, combine with enough gravy to moisten. Assemble the vegetable/turkey mixture in an oven-proof casserole and “cobble” it with mashed potatoes and stuffing. Bake in a preheated 350 degree oven until golden brown and hot throughout. Combine diced, cooked turkey with enough gravy to moisten it; add whatever vegetables you like. Bring to a simmer and add heavy cream. Serve over mashed potatoes, stuffing, or if you’re feeling particularly decedent, puff pastry. Heat the olive oil in a heavy-bottomed pot, add the onion, cel­ery, carrot, and red bell pepper, sauté over medium heat until translucent. Add the garlic and ginger, sauté 2 minutes. Stir in the sugar, curry powder, cumin, black pepper, salt, and crushed hot pepper, sauté 2 minutes. Stir in the flour and cook for 5 minutes over low heat while stirring constantly. Add the diced apple, stir in the turkey stock and diced turkey, and simmer for 20 minutes. Just before serving stir in the rice. Another wonderful idea for a leftover turkey. I am actually reading different recipes for the leftover turkey.